For all shaping work in the hobby workshop. 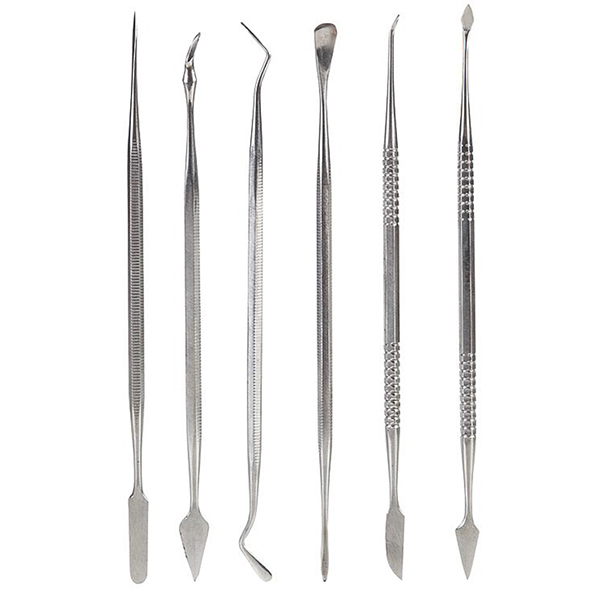 Set containing 6 double spatulas with 12 tips and points of various shapes for any mixing, shaping, forming and rubbing work. Each spatula is made of stainless hardened fine steel and offers a perfect grip through its grooved handle.